Hima Cement Limited has invested US$40m for the commencement of the first phase of a capacity expansion strategy that will see the construction of a Grinding Station in Tororo, Eastern Uganda. The investment in Nyakesi, Rubongi will add an additional one million metric tonnes of cement to the market. Located near Kasese town in Western Uganda, Hima Cement Limited strives to offer its customers the best innovative materials and reliable products and services. According to Hima Cement Limited Country CEO, Daniel Pettersson, the company is committed to ensuring sufficient cement capacity to serve the national infrastructure and construction projects both commercial and the individuals sector. “As a result, we are embarking on several capacity building projects starting with the construction of a Grinding Station at the end of 2016,” said Daniel Pettersson. “In addition we are in final stages of exploration for a limestone position in North East Uganda to support a future clinker position; lastly we are launching a RMX operation in Kigali next month, to be followed by further aggregates and RMX operations in Uganda and Rwanda in the near future,” he added. The new project in Tororo will help meet the increasing demand for cement and concrete not only within Uganda, but the wider East African market. On completion, the Tororo expansion will further increase Hima Cement’s capacity to 1.9 million metric tonnes per annum. East Africa is one of the fastest growing regions in the world with an average GDP growth of 7%. The construction sector is growing at a higher pace of over 10% per annum. “We are very positive about the long-term prospects of the cement industry in Uganda; and LafargeHolcim is keen to solidify its position in the region as the leading producer of building solutions providing its customers with innovative value adding propositions,” says Pettersson. Customers, Results, Integrity, Sustainability and People – these core values are inseparable from the innovative culture that thrives at all levels of the LafargeHolcim organization which is based in Switzerland. These core values reinforce the Group’s position as the world leader for its suppliers, employees, customers and shareholders. Not long ago, Hima Cement signed a memorandum of understanding (MoU) with Guangzhou Dongsong Energy Group Company for the supply of over 40,000 metric tonnes of cement. This output will be a vital input in the construction of infrastructure on the proposed industrial park in Sukulu and support development of the phosphates deposits in the area. The cooperation of both parties shall cover the construction of the phosphate plant and steel plant projects and any other projects with the Sukulu Industrial Park. Hima Cement Limited, is a member of the LafargeHolcim Group, which is the leading producer of building materials in the world; present in 90 countries. The company has a mission to exceed customer expectations by producing and providing innovative products and world class solutions through a safe and engaging work environment; working with the relevant stakeholders to drive a culture of safety and excellence in a sustainable way. It is also part of the company’s vision ‘To be the preferred provider of cement and concrete based building solutions in East Africa with a strong focus on customer experience’. 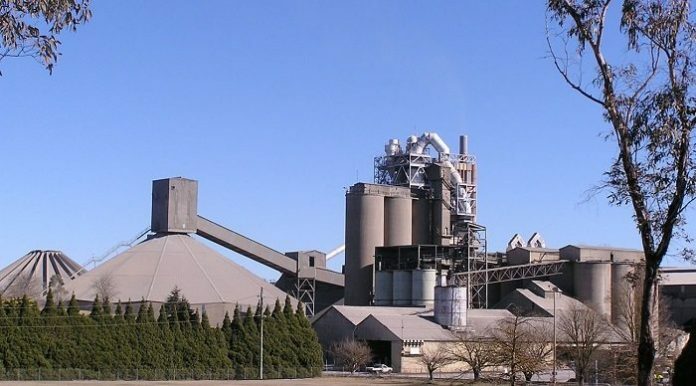 In 2010, Hima Cement invested US$120m in its plant by installing a state-of-the-art, environment-friendly cement production line that increased annual production capacity to 900,000 metric tonnes. In 2013, the company completed a US$3.2m project of installation of new bag filter technology on its old production line at the plant. The project brought the stack emissions in line with the global environmental standards. The company also invests significant resources to conduct environmental impact assessments to ensure that the plant operations meet all the required environmental standards for its manufacturing processes and operations. The same amount of compliance to the required standards is being done with this newest project.